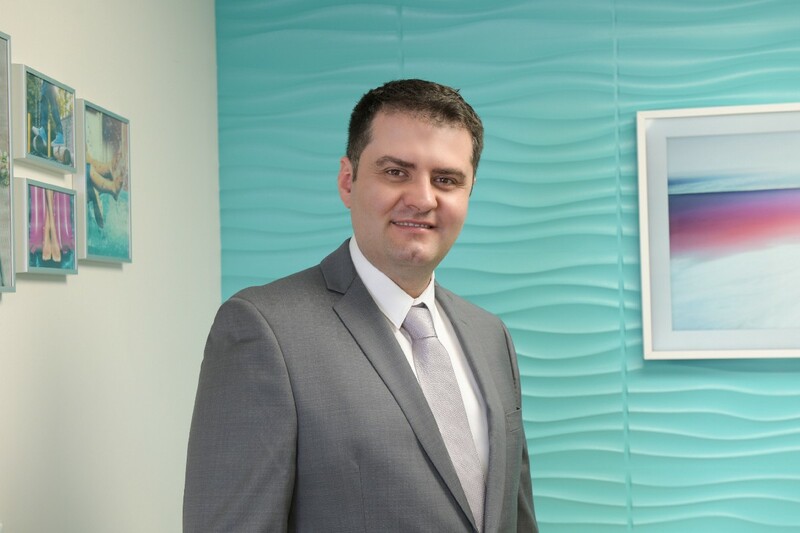 Dr. Velimir Petkov is a board-certified podiatrist with 12 years of experience serving residents of New Jersey. He is the Medical Director of Premier Podiatry in Clifton, NJ. Dr. Petkov and the team at Premier Podiatry offer cutting-edge solutions for a wide variety of foot and ankle conditions. Thank you so much for joining us! Can you tell our readers a bit about your ‘back story”? I grew up watching my father work as a veterinarian, taking care of his friends and neighbors’ beloved pets. I knew from an early age that I too wished to be a healthcare specialist with a personalized approach. I also loved playing soccer and hiking. One day during my Junior year’s summer vacation, I was on the soccer field with some of my friends. I fell down and injured my foot. Initially, I wasn’t even going to go to a doctor. But the pain was so severe that I quickly changed my mind. It turned out that my ankle was severely sprained. I was forced to spend the next 6 weeks of my vacation in a cast. You can imagine how devastated 16-year old me must have been. The doctor treating me turned out to be extremely friendly and caring. Following this experience, I was inspired to become a foot doctor and help others who might find themselves in similar situations. Fast-forward two years, I was attending Boston College where I got to enjoy a great sense of community. As students, we were encouraged to engage in the pursuit of excellence and assist others through meaningful work. I formed some amazing friendships during my four years at Boston College most of which I still maintain to this day. Upon graduating, I relocated to Chicago. I was blessed to be accepted in my top-choice program — Dr. William M. Scholl College of Podiatric Medicine which is a part of the Rosalind Franklin University of Medicine and Science. I then proceeded to complete my residency at the Wyckoff Heights Medical Center in New York, focusing on foot surgery, sports medicine, diabetic wound care, and limb salvage. This is where I met my brilliant partner. She is the visionary behind our practice Premier Podiatry in Clifton, NJ. We envisioned establishing this practice for years. We dreamed of opening a podiatry office that is family-friendly and completely patient-centered all while being modern and providing access to state-of-the-art technologies and procedures. One of the things that owning my own practice provides is that sought-after work-to-life balance. Time management is extremely important when you run a medical practice. When I am at the office, I focus on my patients and providing the best possible care for them. They deserve my undivided attention, so I do my best to eliminate all external distractions. I don’t check social media or take unnecessary calls. My lunch hour is often reserved for business meetings or networking. I delegate certain administrative tasks to my wonderful staff. My practice would not be the same without their hard work and dedication. We have weekly meetings to make sure that we are on the same page and everything is running smoothly. I finish my notes for the day before I head out of the office. This way I can relax, enjoy my hobbies and spend time with my family once I am home. I look at my schedule for the day and plan accordingly. I have heard about some doctors who see 50, 60, even 70 patients per day. That is not our style at Premier Podiatry. Don’t get me wrong, I enjoy having a busy schedule. But there is a certain amount of patients that I won’t go above. It varies day-to-day depending on the complexity of the cases. A patient who comes for routine Diabetic foot care will usually not require the same amount of time as one who has a dislocation. Saturday afternoon is strictly reserved for focusing on the business side of things. My partner also helps tremendously by taking care of important aspects of the practice such as marketing, advertising, attending local events, HR, staff training and payroll. You could say that she is the heart and soul of our operation. At one point, I received a rather lucrative offer to join a growing practice in a different state. The salary and benefits were outstanding and I was promised the support of the entire staff. So my wife and I packed our entire household, moved thousands of miles away from home and signed a 12-month lease on an apartment. I was extremely upbeat and excited about this new opportunity… until my new employer started asking some borderline unethical things of me. It was subtle enough at first. But things quickly spiraled into him putting an emphasis on his revenue instead of the patients’ needs. Eventually, I had to stand my grounds and openly disagree with him. I refused to make patients undergo unnecessary procedures for the sake of revenue. I did that fully realizing that he was going to let me go. I was not wrong. Having to bounce back from this experience was difficult and took some time. But at the end of the day, it was worth it, because patient care should always be prioritized. You should never compromise on patient care. I spend quite a bit of time with my patients and make sure to answer any questions that they might have. I strive to get to know them, establish a relationship and trust. I give my patients ease of access — both in terms of continuity of care and reaching me directly. All of my patients know that they can pretty much call me 24/7. I recently had a patient drop a laptop on his foot in the wee hours of the night. I was still awake when he scheduled his appointment online. Upon reading his note and realizing that he might require immediate care, I called him. He did not expect to hear from his doctor after Midnight and was very thankful that he got to speak with me. You hold the key to realizing your staff’s true potential. Some doctors believe that as long as their receptionists, medical assistants, and office managers show up for work on time and are HIPAA compliant, they are good to go. But well-trained employees are more productive and efficient. That, in turn, translates into their ability to offer a better patient experience. Find out what motivates your staff members. Meet with them on a weekly, bi-weekly or monthly basis and provide regular feedback. Praise their efforts and make it known that you appreciate them. Make sure to train them if you notice any shortcomings. Monitor your staff to make sure that they provide excellent service to all patients. In our practice, we have set a specific goal. It’s rather ambitious, but if we manage to reach it by the end of the year, we are all going to be attending a very interesting conference. To sweeten things even further, we are mixing it in with an all-expenses-paid retreat right after the event. It gives us something to work towards as a team. It’s all about team effort. I recently heard that the majority of practices invest less than 5% of their revenue into marketing. While word-of-mouth is definitely important and referral-based practices are great, you should not neglect your marketing efforts. Having a well-optimized mobile-friendly website is crucial in this age and so is branding your practice. At Premier Podiatry, we make it a point to ask each and every patient how they found us. This way, we get a better understanding of where we need to focus our marketing efforts and budget. Stay on top of things and never stop improving yourself. There are always exciting new things to learn. Do your best to attend education and coaching sessions, advanced training classes and medical conferences. Read professional magazines, journals, and publications. I just came back from a podiatry conference in Miami where I had the chance to meet with many of my colleagues from around the country. One of the nicest people I met was actually a billing specialist. She was able to explain to me why a particular claim that I keep resubmitting gets denied over and over again. It was a very simple issue that I wouldn’t have thought about myself. But he was kind enough to help me out and offered her input. I have registered and plan on going to APMA’s 2019 National Scientific Meeting in Salt Lake City in July. Thanks to modern technologies and social media, staying in touch with your colleagues has never been easier. You are probably already on multiple social networks. Make sure that you are utilizing them properly for professional relations. Consider joining physician-specific networking websites which can provide some interesting opportunities for you and your practice. I recently had the owner of a nearby imaging center reach out to me through one such platform. We are meeting for lunch tomorrow. His imaging center is family-owned and operated and he sounds like a very pleasant person. While Premier Podiatry’s Clifton office is home to several great advanced technologies (such as a high-frequency digital x-ray and a high-resolution musculoskeletal ultrasound imaging system), we don’t currently offer magnetic resonance imaging (MRI.) I have been looking for a great place where I could send my patients who need an MRI scan. I believe that any place where you refer your patients is an extension of your own practice. So I wouldn’t send my patients just anywhere. I’d like to refer them to a place where they’d receive the same exceptional care we provide for them in our practice. Many healthcare providers struggle with the idea of “monetization”. How did you overcome that mental block? I am a firm believer in innovation and constantly restructuring your business model. You always have to strive to either reduce your operational costs or increase your revenue without compromising the quality in patient care. We think of ways to differentiate ourselves and our practice. This is why our office is in-network with most insurance providers and is open 6 days a week. Our staff proudly services patients in six different languages. Enhanced patient care and expanded service offering are always among our top priorities. I love nature and being outdoors — it helps me get centered. One of my favorite things to do is go to the beach. I’d often go on long walks with my dog or ride my bike. I also enjoy reading books in my spare time. It takes my mind in a different direction and helps me recharge my batteries. When it’s too cold outside, I like to watch sports. I am also an avid movies fan. I’m a huge fan of mentorship throughout one’s career — None of us are able to achieve success without some help along the way. Who has been your biggest mentor? What was the most valuable lesson you learned from them? I have had the pleasure of meeting many talented podiatrists, as well as fascinating doctors in various other specialties. But if I have to pick just one person, I’d say of my residency directors — Dr. Ronald Guberman. He is a highly-skilled yet very humble podiatrist. He displayed a great amount of patience with me and all of his residents, teaching us invaluable lessons about the profession that have stuck with me to this day. I vividly remember this rainy fall morning after a particularly long shift at the hospital. We were all tired and getting ready to go home to enjoy some much-needed sleep. A patient showed up right as Dr. Guberman was leaving. It turned out that she had a severe infection in her foot — gas gangrene. She needed to be operated on immediately. Dr. Guberman thought that it would be an interesting case for us to see and scrub on together. It was a difficult case and I know that the doctor must have been exhausted. But he never showed any signs of it. On the contrary — he was eager to save the patient’s leg and potentially her life too, all while going into a great amount of detail teaching me. I was extremely impressed by his dedication and focus during the surgery. I read colleagues’ blogs and foot care-related articles regularly. I do my best to attend several conferences each year. The American Podiatric Medical Association’s website is always an excellent source of information. And I am constantly on the lookout for engaging webinars. I can’t always participate in them live due to my schedule. But luckily webinars typically get recorded, so I can watch them during my spare time. My business partner whose main area of expertise is marketing did tremendous amounts of research, especially online. She goes out of her way to not only promote our practice but make sure that the patients are happy with the services they receive. We also read hundreds if not thousands of reviews that patients had written for other doctors — both good and bad. We wanted to learn what irritates people in a physician’s office and what makes them feel well taken care of. That was definitely a great way to generate ideas for our practice. I was a bit surprised to find out that many people who complain tend to do so because of poor experiences pre or post visit. A lot of the negative feedback mentioned nothing about the quality of the provider’s care. Long wait times, administrative staff members’ poor attitude and billing errors were among the things mentioned most often in negative reviews. Patients who were satisfied with their visits comment on the ease of scheduling their appointments, low wait times, staff’s helpfulness and amount of time that the doctor spent with them during the exam. At one point I considered acquiring a retiring podiatrist’s practice and giving it a facelift by modernizing it. We exchanged a few e-mails and scheduled a time to meet. Upon arrival in his office, I quickly realized that the administrative protocols in his practice ranged from being inconvenient for the patients to borderline sleazy. He advised me to spend as little time with patients as possible while billing for as much as one can at the same time. Not only is this highly unethical in my book, but it also makes no sense. I became a physician because I truly enjoy spending time with my patients. I like getting to know, treating and helping them to get better. It is a very rewarding experience for me knowing that I was able to influence their health and lives positively. Being able to help people live a pain-free life is extremely rewarding. Just one? That’s tough. I love reading, so I can’t possibly pick just one. But the latest great book I read that made an impact on me and my practice was “Drive” by Daniel Pink, especially the chapter on 13 ways to improve your company, office or group. A special thanks to Dr. Petkov again! 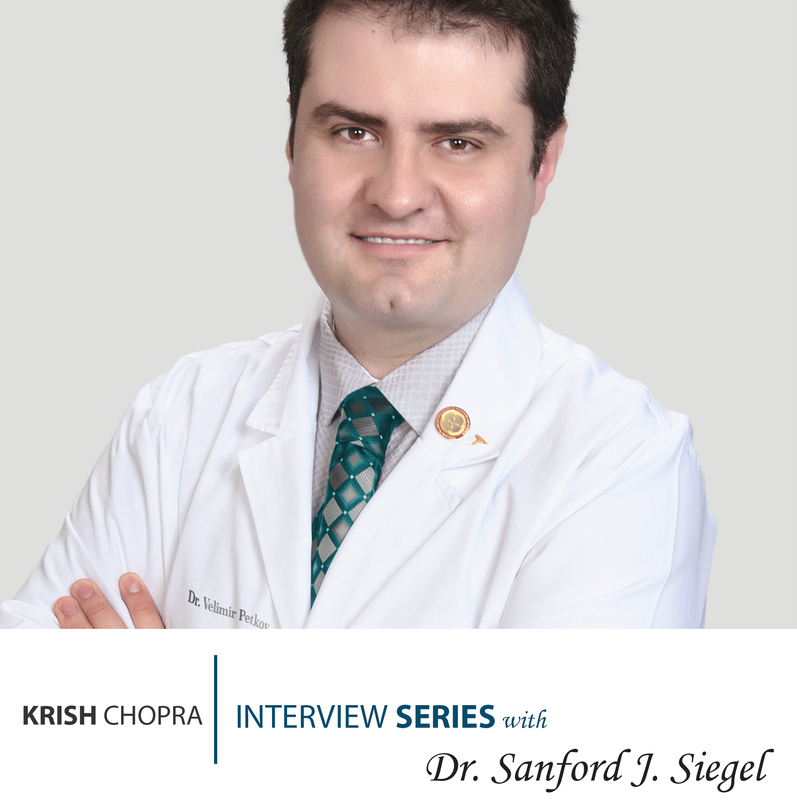 The purpose of this interview series is to highlight the entrepreneurs, innovators, advocates, and providers inside Healthcare. Our hope is to inspire future healthcare providers on the incredible careers that are possible!